The Pediatric Dentist is a dental specialist who is dedicated to the oral health of children from infancy through the teenage years. The very young, preteens, and teenagers each require different approaches in dealing with their behavior, guiding their dental growth and development, and helping them avoid future dental problems. 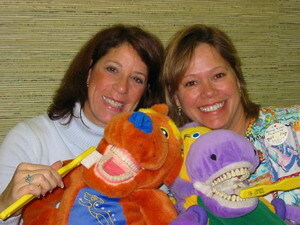 The Pediatric Dentist is best qualified to meet these needs. A Pediatric Dentist has two additional years of postdoctoral training in order to provide the most up-to-date and thorough treatment for a wide variety of children's dental problems. We are deeply committed to the total health and well being of your child and to the ideals of preventive dentistry. Your childs health and safety is our top priority. Using advance dental digital xrays we are able to significantly reduce the amount of radiation exposure to your child. Although the amount of radiation used in dental xrays is very small, the effect of radiation is cumulative, so all radiation counts! Digital xrays reduce radiation exposure up to 80 percent. This is why we are happy to inform you we ONLY use digital xrays at our offices. Dr. Jon Golub (speciality permit #3476), a three times graduate of Tufts University: Undergraduate College, Dental School and Orthodontic speciality training, provides "In the House" Orthodontics. Please visit our Orthodontics page for details on how to get a beautiful, straight smile in a happy and healthy way! 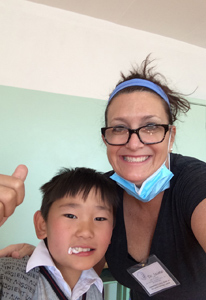 Dr. Jamie and her husband, Dr. Jon, our Orthodontist, are dedicated to giving children throughout the world something to smile about. 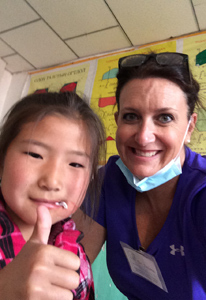 Three times a year, they travel to impoverished countries on Pediatric Dental Outreach Projects. 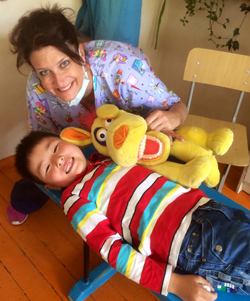 On these missions, they volunteer their time and effort, providing free dental care to children who have never seen a dentist before. 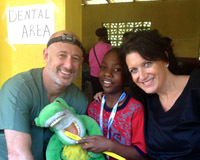 Dr. Jamie, who is on faculty at both Columbia University School of Dental Medicine and Tufts University School of Dental Medicine, provides care through two wonderful non profit organizations, "KIDS", Kids International Dental Services (www.kidservices.org) and "HCI", Health Care International (hcireachout.com). 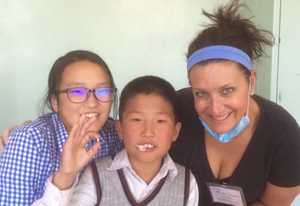 Teaming up with her dental students and other dedicated dental health care workers, Drs. 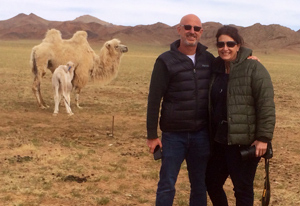 Jamie and Jon have provided care to children in the countries of Cambodia, Mongolia, Guatemala and Jamaica. 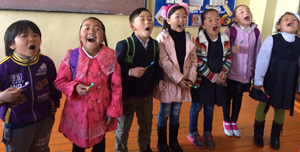 These children have absolutely no access to dental care. Many are orphaned and, in fact, have never seen a toothbrush. Dental decay is rampant in most of these areas and delivery of care is complicated because of the lack of running water and electricity. 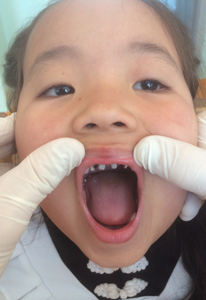 Despite the conditions, the dental teams are able to provide hundreds of dental extractions, cleanings and preventative services to their children patients during their one week visits. 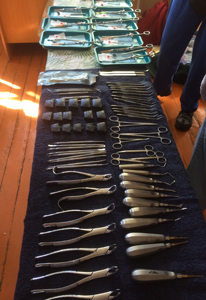 "I have seen a lot of dental decay in my career. Treating patients is so natural for me," reports Dr. Jamie. 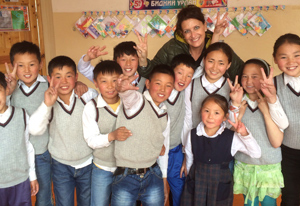 "But I am so emotionally taken aback by the children in these countries. What is most impressive is the amount of smiling we see and the laughter that we hear. We are all warmly received and gladly welcomed by even the youngest and most anxious child. 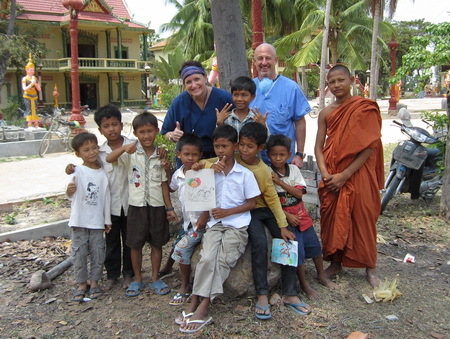 I consider it a privilege to be able to provide these amazing children with good dental care. 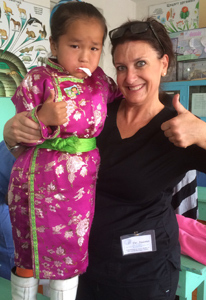 Our experiences are so rewarding and fulfilling, that I return home with much more than I could have ever imagined. The opportunity I have to help strengthen these communities has enriched my life in ways that I had never thought possible". Please enjoy the following videos and photos for a glimpse of the doctors' experiences giving back. 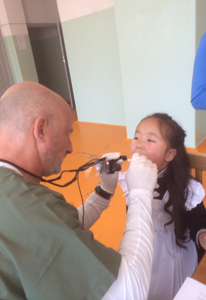 Mongolian Pediatric Dental Mission, May 2014! Drs. 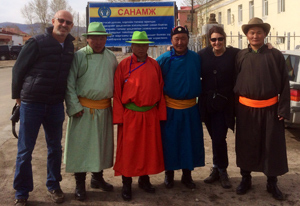 Jamie and Jon have just returned from a Pediatric Dental Mission in the Zavkhan Province of Mongolia. 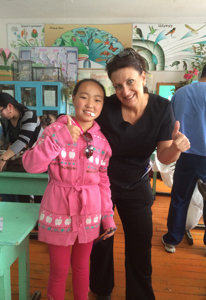 They joined 13 other Dentists and Assistants with KIDS (Kids International Dental Services). 2016 children were treated in 6 days! 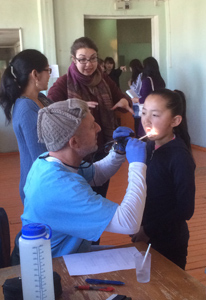 All of the kids had fluoride treatments and 751 children had a total of 1,220 rotten, painful teeth removed. It was an amazing adventure! 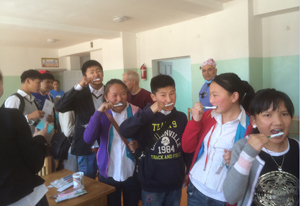 Mongolian Pediatric Dental Mission, May, 2014 - at Uliastai, Zavkhan. Mama and Baby camel. - at Uliastai, Zavkhan. 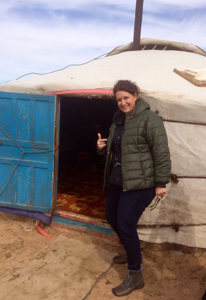 Visiting a friend in their "GER". - at Uliastai, Zavkhan. 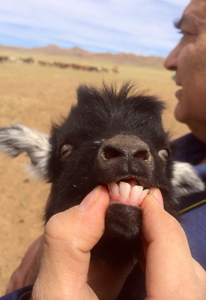 Baby goats teeth. 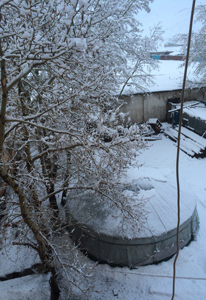 - at Uliastai, Zavkhan. Teenagers doing their fluoride treatments. - at Uliastai, Zavkhan. View from Dr. Jamie and Dr. Jons room. That is a "GER" not a yurt. - at Uliastai, Zavkhan. 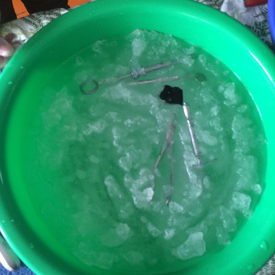 No running water, so snow was used to make cold sterilization. Nothing like being resourceful. - at Uliastai, Zavkhan. Good job! - at Uliastai, Zavkhan. 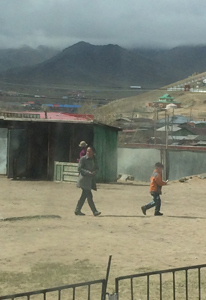 Typical Mongolian clothing. She was an amazing patient. - at Uliastai, Zavkhan. 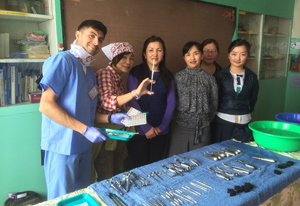 Sterilization and Translator Team - at Uliastai, Zavkhan. 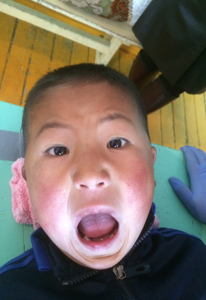 This child had an extra tooth in the front of his mouth, a "supernumerary tooth". Dr. Jamie took it out for him and then explained to him about the tooth fairy. He was so excited! - at Uliastai, Zavkhan. Dr. Jon doing the examinations. - at Uliastai, Zavkhan. The children were amazingly brave! Very little fussing! - at Uliastai, Zavkhan. Instant Dental Clinic. - at Uliastai, Zavkhan. Going to the dentist is not so bad after all! - at Uliastai, Zavkhan. Group fluoride treatments! - at Uliastai, Zavkhan. Some of the locals bidding farewell to us. - at Uliastai, Zavkhan. 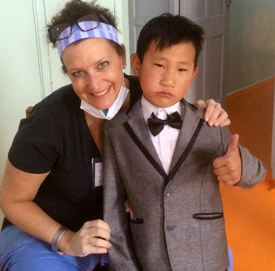 Annually , together with the office of Fort Lee Orthodontics, our office hosts a "Patient Appreciation Party". 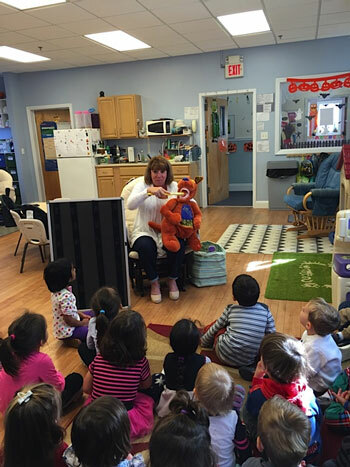 It is our way of saying THANK YOU for continuing to entrust us with your child's precious, beautiful, happy smiles. 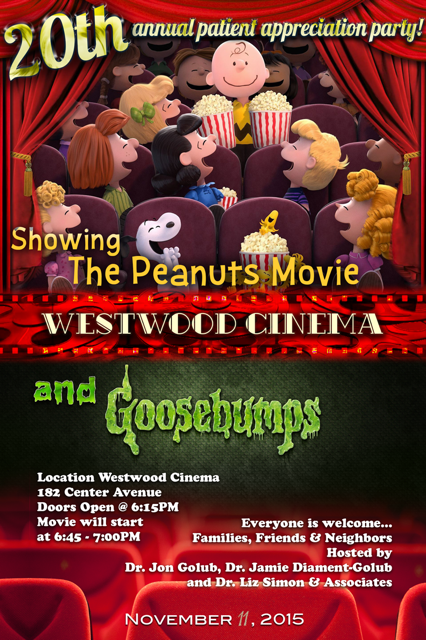 Since 1995, we have hosted this celebration at several different venues including, Space Odyssey, The Ice House, The Roller Rink, Krazy City, Movie Night and Sportsworld. This annual event is our way of giving back. With your commitment to healthy and happy smiles and our strong belief that good dental habits are learned at a very young age, your children will have a positive, eager and enthusiastic attitude about their dental health to last a lifetime!!! So keep up the brushing, flossing and your regular dental checkups and let's all start county down to our next extravaganza!! I know we are!!! Pediatric Dentists serving infants, children and teens in Westwood, Fort Lee, Rivervale, Emerson, Harrington Park, Hillsdale, Park Ridge and Montvale, NJ. Copyright © 2005 Jamie Diament-Golub, D.M.D., P.C. All Rights Reserved.